William Henry Signature Salon and Country Star Jimmy Wayne team up to give back! Activist, singer, poet, songwriter and country music star Jimmy Wayne will be in Gaston County at William Henry Signature Salon & Spa Mt. Holly to support William Henry’s desire to give back to the community through the Salvation Army’s Paper Angel Tree program. For every $50.00 or more gift card sold at both salons, WHS will donate 10% of that sale to the Paper Angel program. It only made perfect sense to merge forces with local star Jimmy Wayne, as he was impacted by the Paper Angel Tree program as a young boy and since has continued to do major work with the Salvation Army. Recently we spoke with Jimmy from his home in Nashville. GA! : For those that don’t know, what is your connection to Gaston County? Wayne: I was born in Kings Mountain, and grew up in Bessemer City. I spent a lot of my early years in foster care, and probably went to every school in a hundred mile radius. Actually I think I counted 12 Junior Highs. But eventually I graduated from Bessemer City High School and attended Gaston College. GA! : Folks are probably familiar with your song Paper Angel, and the book, but how did the Paper Angel program come into being? Wayne: There was a Colonel White with the Salvation Army, who was actually walking in a mall in Virginia with his wife back in 1977, I think it was. It was Christmastime. They were discussing how to come up with a project that would help children, and they came up with the Paper Angel Program. GA! : What was your first exposure to the Paper Angel program? Wayne: My sister and I were recipients of the program. My mom depended on the Paper Angel program for food and gifts at Christmas; otherwise we would have gotten nothing. GA! : What were the holidays like for you as a kid? Wayne: Depressing. To a kid in a home, the holidays are depressing. Your birthday always gets skipped, and it was hard to see all of your friends with new bicycles and presents and you and your sister got nothing. GA! : You’ve come a long way since then-what are the holidays like now? Wayne: I look forward the holidays now… I love Fall and all of the colors. Now I don’t need to be helped, and I feel very fortunate to be in a position to help others. GA! : Has the need changed? Wayne: Go to any Salvation Army warehouse during the Christmas distribution, and you’ll see the broken, the poor, waiting in line for bags of food and toys. I have seen the lines so long that kids have fallen asleep on the sidewalk. GA! : Was the song Paper Angel accepted and appreciated from the beginning? Wayne: Absolutely not. I really had to fight for it, that song was really kicked around …it was even kicked off of the album once I had recorded it. People even laughed at the whole idea, but I just believed in it, and never gave up. GA! : Were you musical from the beginning-was your family? Wayne: My mother was a singer, played piano and guitar, harmonica. Everyone in my family is talented. They may not perform, but I think we all got that creative gene. I played in rock bands as a kid, but my dream was to be a professional songwriter. I had started writing poetry at 12, and in 1998 I moved to Nashville. GA! : What do you think makes you successful in the music business when so many aren’t’? Wayne: There are so many tremendously talented folks-more talented than me- who will never get a shot because of their look, their weight, their color, what have you. I know I am incredibly lucky, and really sincerely appreciate the people who buy my music. 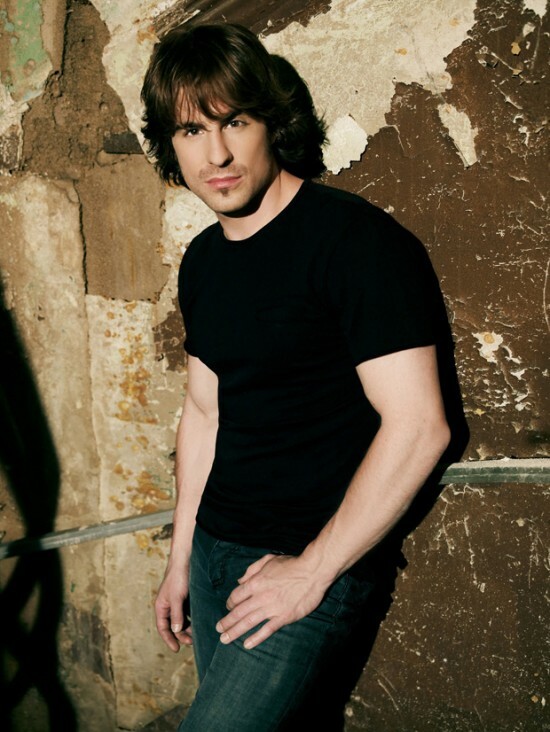 What: Jimmy Wayne will do an acoustic solo set with a meet and greet to follow, time permitting. When: December 14, 7-8:30 p.m.